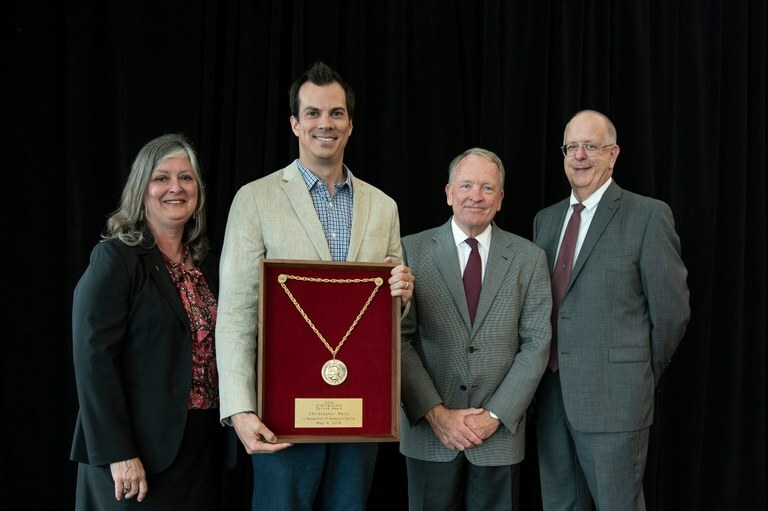 Congratulations to Professor Chris Reitz, Critical and Curatorial Studies, for receiving the President's Award for Distinguished Service to the Community! In addition to the Arts and Science's Award, Professor Reitz received the President's Award for his continued work on Louisville's Commission on Public Art, the mayor's special commission reviewing Louisville's public monuments, his work helping to bring art to the Louisville Airport, and his work with Louisville Visual Art to develop and realize Louisville's Open Studio Weekend. Professor Reitz has also been recognized for bringing engaged programming to the city through exhibitions, panels, and lectures, and through his frequent contributions to local media.